In the song Ain’t Gone ‘n’ Give Up On Love, Stevie Ray Vaughan had a (sometimes) more restrained approach, channeling Albert King with those unmistakeable Box 2 bends. Even when he played it live (with more intense soloing), the signature sound of that song could be heard. That’s the feel I was aiming to capture in the performance documented in this course. 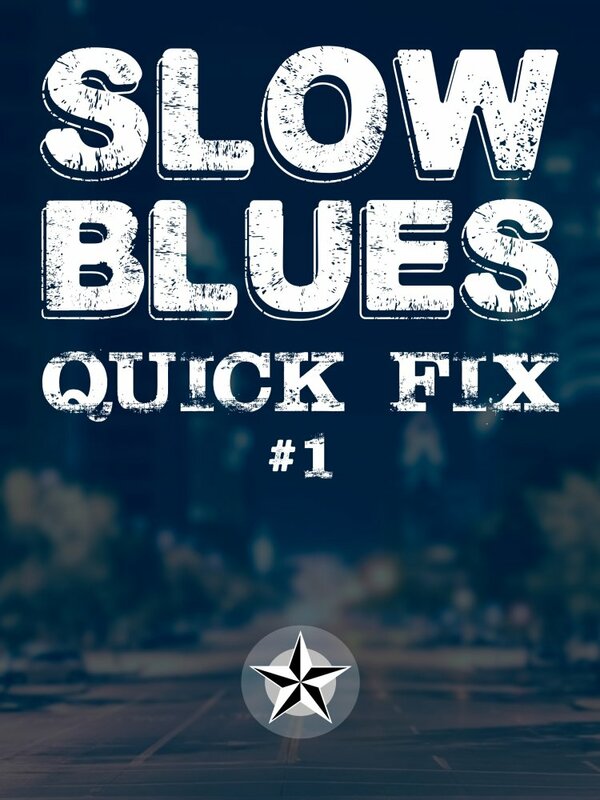 This Quick Fix course is based around an 8 minute demonstration in the style of that song. Four solo choruses and three verses have all been chopped into individual licks with tablature and slow motion for you to study. Watch the full demonstration and a free sample from Solo 1. If you like the format of the sample, you'll love the rest of the course. You'll also get a great backing track video (with progression counter) and mp3. This course comes with tablature for the entire demonstration. If you purchase the downloads, you will get PDFs and GuitarPro tabs. If you join the TXBA Locals, you'll have interactive tablature powered by SoundSlice (printable as well). Is this performance a note-for-note copy of the song? No. It is an improvised performance that incorporates the same soloing themes that SRV used in that song. Do you teach it note-by-note? No, this is a Quick Fix Course, so you have a lot more material to study than I can usually fit into a Mini-Course, but there's no note-by-note breakdowns. The entire performance is chopped into individual licks with demonstrations at two different speeds (with tablature). Who should buy this kind of course? This course will be most useful for players who are ready to learn by observation, meaning that they can watch a demonstration at half or full speed, and pick out the same notes on their guitar without having the instructor call out each note. How can I get the most benefit from this course? If you purchase the downloads, you will get much more value from this kind of course if you have software to do looping. If you are a member of the TXBA Locals, you will have our unique Instant Looping feature that allows you to instantly loop over each lick demonstration with a single click.